We are offering a reward program in which our customers have the opportunity to receive free stuff simply by continuing to be a customer of ours. What's the catch? All you have to do is sign up, then you will receive a card in the mail to present each time you visit our location and start reaping the benefits. The Original Bailey's thanks you for your continued patronage. Our reward program consists of 1 point for each $1.00 spent. 100 points are needed to begin redeeming rewards. This would entitle you to a $10.00 discount on your guest check (food only) on your next visit. 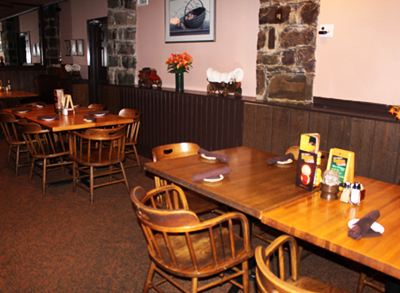 May include appetizers, entrees, soft drinks and desserts. Bar drinks are not a part of this special program. Points may not be redeemed on the same trip they are earned. Offer does not apply to already discounted items, banquets, etc. or special promotions.